The first film to be directed by John Cassavetes, Shadows, was perhaps the start of what we now know as American independent cinema. Shadows was groundbreaking at the time of its release, although not particularly financially successful, it was critically acclaimed, despite being made for less than the average television programme. 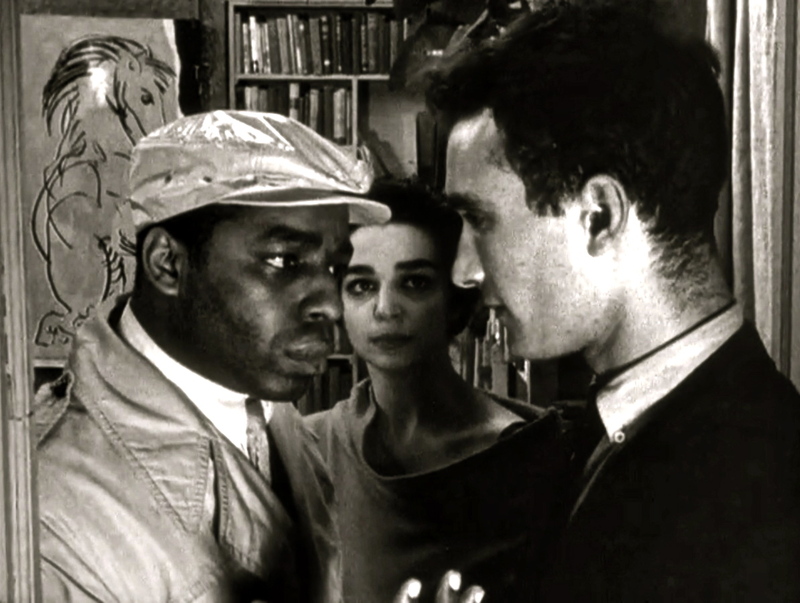 Filmed during the same year as Godard’s Breathless, Shadows fully embraces a French New Wave aesthetic, grainy hand-held camera, non-professional actors, and most interestingly in Shadows case, almost total improvisation. The film often feels thrown together, and cracks appear on its surface. Camera shadows fall on actor’s faces, characters stumble with dialogue lines, and passers-by look into the camera’s lens. For a well-polished Hollywood production of the 1930s, any of these cinematic cracks would have been a disaster, but here, Cassavetes doesn’t care. The film isn’t “well made” by most of society’s standards, but that is not the point. Shadows, like its characters, is not ashamed of feeling lost and at odds with the world. Instead, it reflects and challenges its obstructions, not viewing them as faults, but as expressions. Shadows is filmmaking at its most expressive, even lacking in plot to become more of a human character study. The film, very roughly, focuses on three siblings, one is black, the other two are slightly lighter-skinned, but are often classed as white. Hugh, whose skin is darker than his siblings, is an aspiring singer, but is finding gaining respectable work difficult. Ben, his brother, is a down-on-his-luck jazz trumpeter, who often finds himself becoming friends with the wrong kind of people. They both, in different ways, look out for their sister, Lelia. Hugh does this in a calm and authoritative matter, and Ben, in a more protective and aggressive way. The three are not submersed into a complex or exciting plot, but are looked at, studied, and followed. They each overcome, and are beaten back by, the problems of everyday life. They are flawed, like all of us, and each try desperately to keep their heads above the metaphorical sea that is life in a huge urban city, in this case, New York. Shadows, like many other films soon to follow, makes great use of New York, its grimy and chaotically busy night streets, but too, its beauty, artistry, and the vast sources of information and communication offered within a contained space. In one scene from the film, Ben, and some friends, take a trip to the Metropolitan Museum of Art. Here, they mock certain artworks, and misinterpret others, even commenting, “let’s go, this place gives me the creeps”. With this, we begin to see how emotionally closed-off these characters are. Around their very doorstep, they have perhaps some of the best resources available to any community living on earth. However, they would rather constantly seek out random groups of women, and attend frantic house parties, than to actively acknowledge any of these useful resources. This is where the film’s heart can be found, in the desperate nature of its characters to change, and in their lack of practical vision to do so. The film was almost entirely improvised, with no final shooting script. Because of this, there are no strong stand out characters, but its talented (and largely unknown) ensemble cast, collectively create some wonderful and natural feeling personalities. The film feels real, and almost documentary in tone. This is created, in part, by out-of-focus close-ups, particularly of the human face, and New Wave styled jump cuts, giving the film rough and unapologetic edges. The camera never tracks or moves dramatically, instead it remains relatively still, but pans with characters as they move, making the space around them feel wide, but still with little space to move. As with all Cassavetes films, we see here that the real horror in life is emotional tension and awkwardness. At points, tense situations become too much to bear. As Hugh tries to protect his sister from her racist boyfriend, they stare at each other, not knowing what to say or express other than “leave” and “get out of here”. This lack of understanding between people creates an extremely awkward atmosphere, and Cassavetes would later explore this much deeper, in later, more character specific films, such as, A Woman Under the Influence, and Love Streams. Jazz music plays an extremely large role in the film. With a great jazz score mostly played by saxophonist Shafi Hadi, the film is baked in music. Within every scene, somewhere hiding in the background is a great musical number; music seems to follow this world’s characters wherever they go, it is part of their culture, their society, and their personal lives. For these people, music is one of lives’ great pleasures, but yet, with most great pleasures, they can’t always bring themselves to acknowledge it fully. Shadows is a film that often feels way ahead of its time, perhaps more suited to the 70s American era of filmmaking. In tone, it feels like what many notable directors would go on to do, especially the directors, at the time, beginning to start the French New Wave. Now and then, parts of the film lack, and are drawn out for just a little too long. But, in its chaotic nature, we often start to follow more than one situation or conversation at once, leaving us to marvel in the film’s vibrant pace; this helps cut down longer scenes, adding in more detail, and emotional padding. Ultimately, Shadows feels like a master filmmaker finding his feet, and while doing so, he creates a near masterpiece. The films of John Cassavetes are often hard to take; they offer so much raw emotion, which sometimes, can become more uncomfortable to watch than even the most horrific of horror films. This is hard to overcome initially, but if you can, you will be rewarded with some of the greatest human character studies the cinema has to offer. As far as Shadows goes, it’s a great, important film, which led to so much more greatness forming around the corner of cinematic history. Next Post Your 10 Favourite Films of All Time – Contribute to the official World of Film top 10 list here! 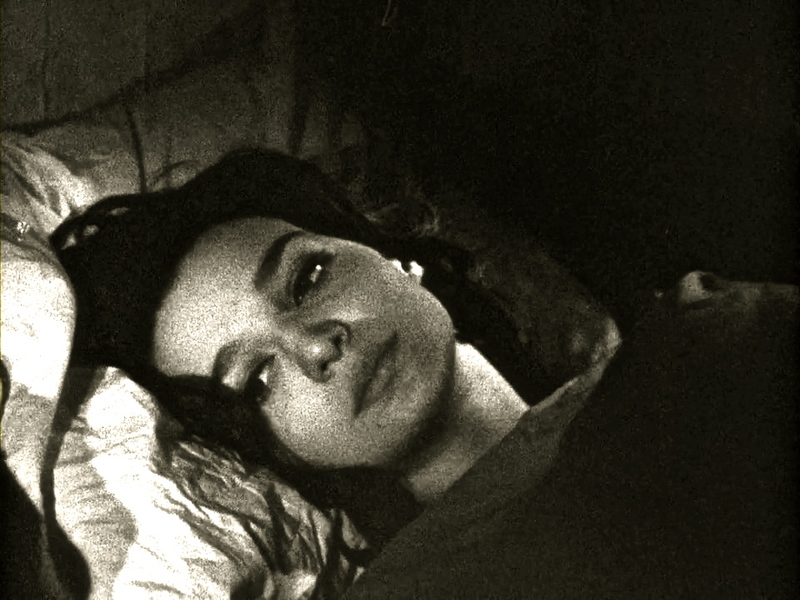 Cassavetes is a film-maker who demands a lot from his audience, and as you say, his films are sometimes hard to take. Given his long career as a actor, and generally a very good actor at that, it is all the more interesting to see his very personal take on directing.